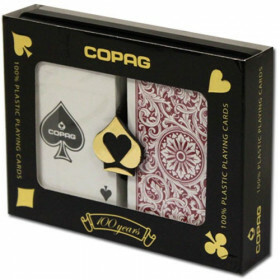 Now you can have the high quality of COPAG plastic playing cards for your Pinochle games! 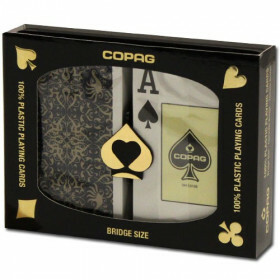 Set includes 2 COPAG Pinochle playing cards decks (48 cards per deck) in a protective plastic storage case. 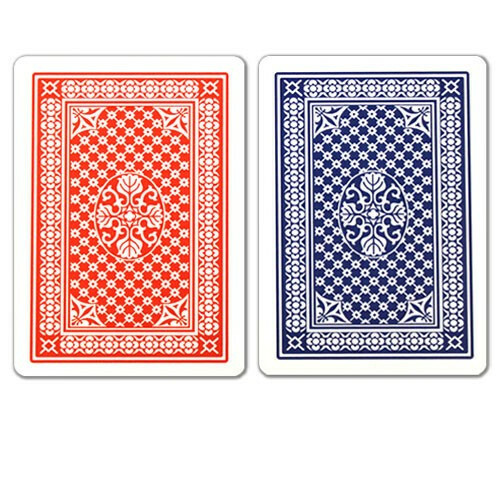 Please Note: These are Pinochle Playing Cards and NOT Standard Poker Decks! 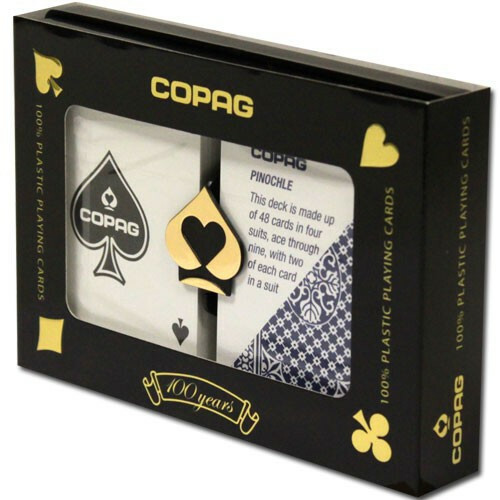 Get the quality feel, durability and playability of COPAG plastic playing cards in a Pinochle card set! 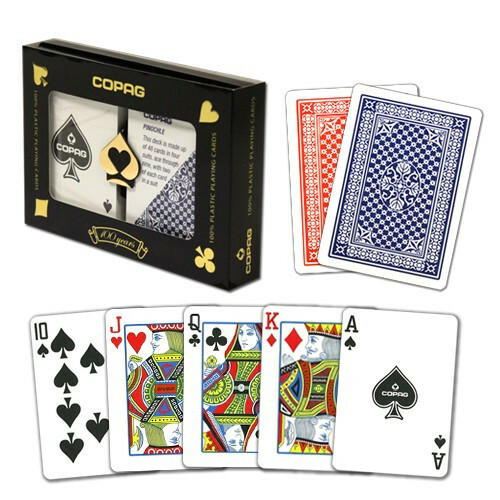 These decks include 48 cards which are used in Pinochle. 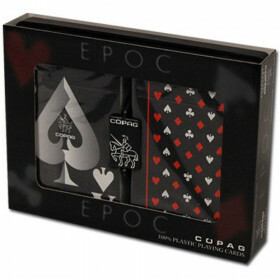 Each suit has the 9 through Ace, and there are two sets of each suit in each deck. 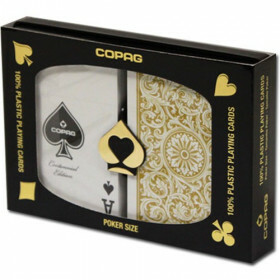 COPAG Plastic Playing Cards will last up to 50 times longer than cheap paper-based playing cards. 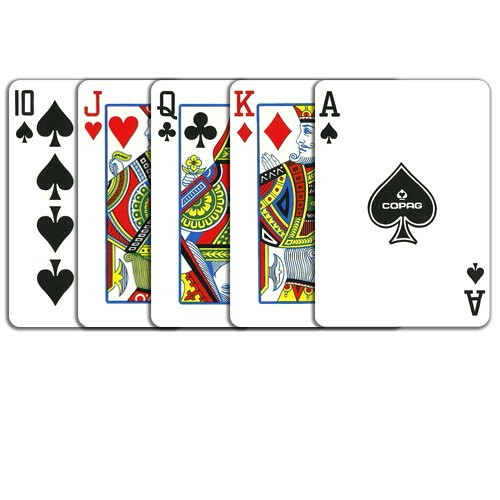 They won't wear, tear, or otherwise break down for a much longer time. 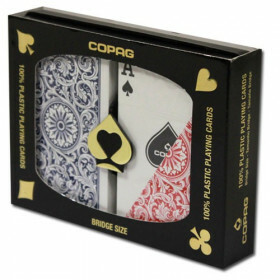 Stop running to the store to replace your worn out cards every time you want to play and buy a set you can keep around for years to come.